Kits and Plans - Orca Canoes and Kayaks Ltd.
We offer a wide range of canoe and kayak kit materials and supplies for the do-it-your-selfer. We have chosen in our business to custom package kits rather than give you one price for each boat. We have chosen this method so that you can select the components that you wish packaged up and shipped. By reducing the amount of items shipped you will save yourself money by purchasing more items locally. We don’t package and ship any items that you don’t need. We will work with you by listing the materials you need to build a boat and you can choose which components you wish. We sell fiber glasses in several different weights and widths and can offer you several different brands of resins. 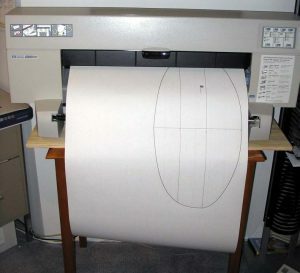 We machine all our own wood strips to ¼ inch thick by ¾ inch wide, but we can do custom milling. The strips are mostly full length, clear, edge grain red and yellow cedar. We also mill other specialty woods such as mahogany and walnut. We have a wide range of deck fittings, rudders, foot braces and cabling, – too much to list on our web site. We can also special order canoe and kayak parts, so if you don’t see it listed, just ask. For more information on kayak kit pricing or personal quotes, Contact Us or go to our Store for pricing and ordering. Here is a sample list of kit materials and prices to start with. Note: these prices are samples only. An exact quote will be given. All prices in Canadian funds. All our experience and knowledge is available to you in our detailed kayak plans. You can also purchase the kayak building manual separately as it has many tips and building methods that are sure to be useful for any builder. For additional information on building a wooden kayak, go to our How To page and print out our building tips. 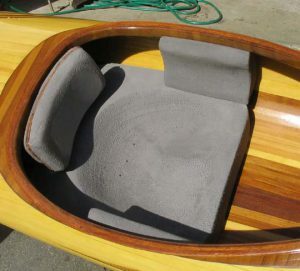 We also manufacture custom kayak seats to fit most any kayak. Carved from high density, mini-cell foam, these kayak seats are sure to increase your paddling pleasure. You can also purchase the foam and carve your own seat. Do not be fooled by other foams for less money. We only use and provide the highest density foam available at 4 inches thick.